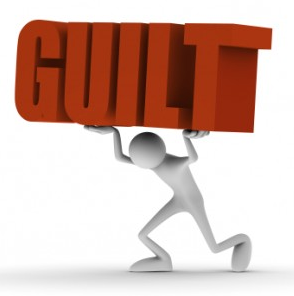 Pouring on Guilt? Or Administering Mercy? All of the above statements and more were made to me recently. The person speaking to me was our landlord. Currently, we are renting a house and I made a mistake. You see, the kitchen floor is covered in linoleum. It is in good condition. However, during the winter months, the edges started curling up under the cabinets and were covering the main heater vent in the kitchen. Being the consummate handyman that I am and not wanting to bother the landlord, I decided to “trim” back the linoleum. Unfortunately, I cut about three inches off of the linoleum and then stapled down the edges with a staple gun (I kid you not). Over the next couple of months, the linoleum started coming up and occasionally bits of food would fall under the flooring. Our dogs, with their finely tuned dog noses, sniffed out the food and would try to retrieve the food by clawing the linoleum. Needless to say, the edges of our linoleum are ripped in various spots and the whole thing looks like a disaster. Author spirituallyrelevantPosted on June 26, 2013 December 26, 2013 Categories Relationships, SpiritualTags christianity, forgiveness, guilt, guilty, society, spirituality8 Comments on Pouring on Guilt? Or Administering Mercy?